Alchemy is an influential philosophical tradition whose early practitioners’ profound powers and insights were known from antiquity. The defining objectives of alchemy are varied in their purity of motive; these include the more materialistically based creation of the fabled philosopher's stone possessing powers including the capability of turning base metals into the noble metals gold or silver, to the more noble and altruistic motivation of creating the possibility of high level spiritual source being able to manifest in the earth plane for the betterment of humanity..... and everything in between. Alchemy as we now understand it was born in ancient Egypt, way before recorded history, where the word Khem was used in reference to the fertility of the flood plains around the Nile. Egyptian beliefs in life after death, and the mummification procedures they developed, gave rise to rudimentary chemical knowledge and a goal of immortality. The premise was that if you could purify the human vessel of carnal energies and selfish desires so then you could attain towards immortality. It was still common for high level spiritual initiates of the time to live for a thousand years or more and the scientific study of what allowed such ones to seemingly cheat death gave birth to the science of Alchemy. There are actually many accounts of these long life spans even in the bible. So it was actually the search for immortality which drove the study of matter and gave birth eventually to astrology, astronomy, cosmology, biology, medicine, chemistry and physics. Although these modern sciences took on a life of their own, down through the ages many have remained true to the original ideal of the early Alchemists which was to purify/spiritualise the human vessel so that it's spirit source may descend into and meld with it's human expression. 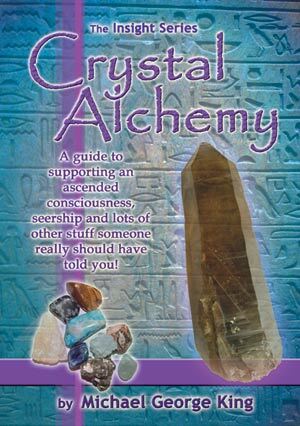 Although the modern day ascension movement has it's roots in ancient Alchemy it has become perverted by becoming goal oriented towards leaving the earth plane rather than bringing spirit into the earth plane as was originally intended. By 332 BC, Alexander the Great had conquered Egypt. Greek philosophers became interested in the Egyptian ways. Greek views of how matter is made up of the four elements of nature - Fire, Earth, Air and Water, were merged with the Egyptian sacred science. The result was Khemia, the Greek word for Egypt. When Egypt was occupied by the Arabs in the 7th Century, they added 'al-' to the word Khemia and al-Khemia is the origin of the modern word Alchemy. Much of the history of Alchemy exists only in an oral tradition and what may be accessed in the holographic records of our planet. I have no interest in elaborating on the holographic records as they are part of the A,B,C's of esoteric study and anyone who selflessly and sincerely sets forth on this path will know of their existence beyond doubt. Every great spiritual tradition speaks of the planetary Hall of Records in one form or another, even the Australian Aborigines have their 'Dreamtime'. It is unfortunate that more is not physically recorded about this early period in the history of Alchemy because in 391, invading Christians burned the great library in Alexandria, destroying almost all relevant works. 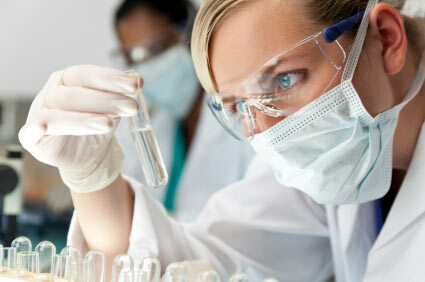 Alchemists developed a framework of theory, terminology, experimental process and basic laboratory techniques that is still recognisable today. But alchemy differs from modern science in the inclusion of Hermetic principles and practices related to metaphysics, ethics and spirituality. In the eyes of the serious practitioner (as opposed to someone who approaches it as a form of superficial recreational spirituality, as most do), the heart of alchemy is spiritual. Transmutation of lead into gold is presented as an analogy for personal transmutation, purification, and perfection. Early alchemists, such as Zosimos of Panopolis (c. AD 300), highlight the spiritual nature of the alchemical quest, symbolic of a religious regeneration of the human soul. This approach continued in the Middle Ages, as metaphysical aspects, substances, physical states, and material processes were used as metaphors for spiritual entities, spiritual states, and, ultimately, transformation. In this sense, the literal meanings of 'Alchemical Formulas' were a 'blind', hiding their true spiritual philosophy. Practitioners and patrons such as Melchior Cibinensis and Pope Innocent VIII existed within the ranks of the church, while Martin Luther applauded alchemy for its consistency with Christian teachings. Both the transmutation of common metals into gold and the universal panacea symbolised evolution from an imperfect, diseased, corruptible, and ephemeral state towards a perfect, healthy, incorruptible, and everlasting state; and the philosopher's stone then represented a mystical key that would make this evolution possible. Applied to the alchemist himself, the twin goal symbolised his evolution from ignorance to enlightenment, and the stone represented a hidden spiritual truth or power that would lead to that goal. In texts that are written according to this view, the cryptic alchemical symbols, diagrams, and textual imagery of late alchemical works typically contain multiple layers of meanings, allegories, and references to other equally cryptic works; and must be laboriously decoded to discover their true meaning. 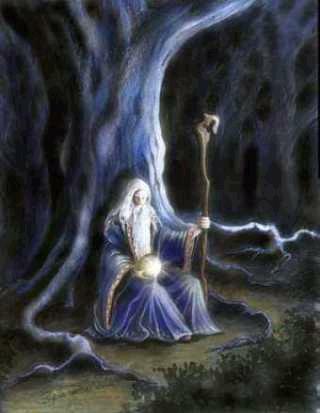 Alchemy was also developed independently in China by Taoist monks. The monks pursued both the outer elixir of life and the inner elixir of life. The former being minerals, plants etc. which could spiritualise the body and prolong life, and the latter being the use of meditation and exercise techniques, such as Qigong, to manipulate the chi or life force of the body. Like China and Egypt, India developed Alchemy independently. They had beliefs similar to the Chinese, in that they used external and internal methods to purify the body and prolong life. In their work the Indians invented steel, and long before Bunsen and Kirchhoff's work, and they also realised the importance of flame colour in the identification of metals. The introduction of alchemy to the west came in the 8th Century when the Arabs brought it to Spain. This started a reaction which would eventually lead to a fundamental split of Alchemy into two paths as it quickly spread to the rest of Europe. The Arabian belief was the early Scientific outlook, a very physical view which was devoid of spirit. They only got part of the story from the Eastern Alchemists which was mainly that metals are made up of mercury and sulfur in varying proportions. Gold was seen as the perfect metal and all others were less perfect, an idea popular among early western alchemists who 'jumped onto the bandwagon' so to speak. It was a very popular idea indeed, that these lower metals could be transmuted into gold by means of a substance known as the Philosophers Stone. This was a partial truth, a falsehood which resulted from a purely physical preception of the art rather than a holistic view which included an understanding of spiritual source. Many so called Alchemists propogated this understanding that they could turn base metals into gold for personal gain whilst those who remained true to the Alchemical ideal of melding spirit with matter also encouraged this idea once they began to be persecuted in Europe. The story that base metals could be transmuted into gold was used to gain protection and patronage from powerful individuals such as monarchs and clergy. This allowed them to continue their work within the intensely paranoid and superstitious period of times such as the inquisition.In Europe, alchemy led to the discovery of manufacture of amalgams and advances in many other chemical processes and the apparatus required for them. Eventually, by the 16th Century, the alchemists in Europe had separated into two distinct groups. The first group focussed on the discovery of new compounds and their reactions, properties and function - leading to what is now the sciences of medicine, chemistry, biology, metallurgy and physics.The second continued to look at the more spiritual, metaphysical side of alchemy, continuing the search for immortality and the transmutation of base human nature into it's highest potential so as to allow the fusion of the human being with it's spiritual source. To become spirit in human form. 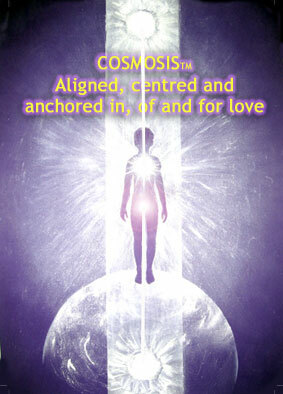 This second branch is the Alchemy that I teach, I term it 'Personal Spiritual Alchemy'. European alchemy continued along these two lines all through the Renaissance. The era also saw a flourishing of con artists who would use chemical tricks and sleight of hand to "demonstrate" the transmutation of common metals into gold, or claim to possess secret knowledge that for a "small" initial investment they would share. These con artists persist to the present day and tend to give all Alchemists a bad name. The reality is that if it sounds too good to be true it probably is! 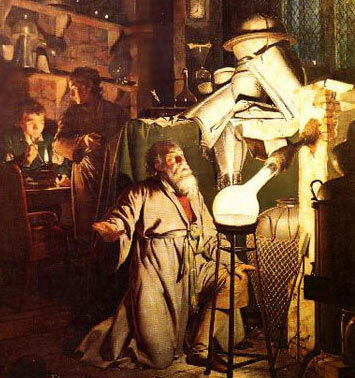 It is important to emphasise that although there seem to be many branches of Alchemy, there are overlaps between all practitioners, and trying to classify them into wizards (alchemists), scientists (chemists, physicists), healers (medical practitioners both allopathic and natural) and craftsmen (metallurgists) is like attempting to sub-classify the various sides of a sphere. The demise of Western alchemy was brought about by the rise of modern science with its emphasis on rigorous quantitative experimentation and its disdain for "ancient wisdom". Although the seeds of these events were planted as early as the 17th century, alchemy still flourished for some two hundred years. To my understanding though, all practitioners of the modern sciences are Alchemists of different flavours. Alchemy is of interest to the historian of science because of its bearing on the development of modern chemistry and other branches of science, but it is also of special interest to the historian of theology, because it represents a vitally important foundation within the western esoteric tradition. That tradition was, and still is, as the great Achemist Antoine Faivre expressed it so beautifully, "both a way of life and an exercise of vision." I emphasise this to demonstrate that the Earths esoteric traditions and the various expressions of which it is comprised are not merely historical artifacts but have always been, and continue to be, dynamic, vital actualisations of the human spirit. The greatest mistake one can make as they embark upon the study of Alchemy is to approach it within an existing framework of what they think they know. No preconceived notions or doctrines concerning your understanding of the nature of reality will serve in any way other than to cause the true entry into the alchemical knowing to elude you. If you approach Alchemy from what you think you know then all you will do is embed descriptions and labels into your mentality. Alchemy is inherently about the synthesis of the intelligence of the heart with the intelligence of the mind and for that reason you must approach it's study as a child approaches its investigation of it's world.... with wonder and the freshness which comes from a lack of preconception. The methodological approach of modern science which seeks to measure everything and to treat everything as mechanical in nature will not allow you to enter into the mysteries of the universe. In order to draw upon the combined ancient knowing of all those who have penetrated into the mysteries of the nature of the universe one must approach Spiritual Alchemy in terms of the world-view that gave rise to it. In a very real sense the inital alchemical revelations come entirely from acknowledging the importance of just how different that world-view is from the one prevailing today. Alchemy has suffered the misfortune of being classed as merely a science from a modern point of view, likened to a mechanical transformational technology like metallurgy, which has veiled our view of its true nature. 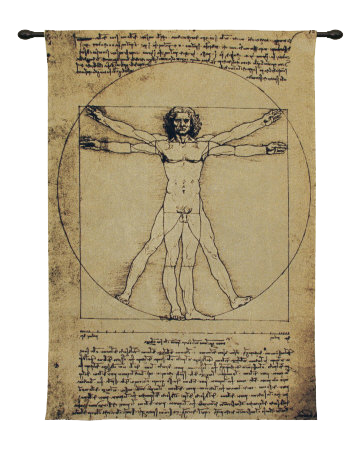 Scientific it certainly was when it first reached the West sometime late in the twelfth century, but in a thoroughly medieval sense, in which nothing, science least of all, could be separated from ethics, morals, and spirituality. The early practitioners of Spiritual Alchemy based it's validity on the fact that they experienced transmutation, and/or had a vision or revelation that resulted in an experience of profound personal transformation. Their reasoning was that one can only experience things that are real; and experience, for them, was something that has integrity, that can and should be trusted. No faith was necessary as they personally experienced the self evident truth of their own living revelation. In short, experience provided both the criterion and the authority for making the claim that their worldview was valid. This personal revelation posed a threat to existing religions of the time and their system of blind faith, superstition and dogma could not possibly compete on equal terms. So orthodox religion increasingly set about the eradicate and discredit Spiritual Alchemy. 1. Know thyself. the preparatory stage when the alchemist must confront unknown, chaotic material within themselves, to encounter the unillumined aspects within and enlighten them. 2. The transcension of duality within oneself. By imposing transcendent norms upon seemingly opposing polarities one learns to master the nature of reality as simply an infinate scale of vibrational expression from infinity to unity. 3. The systematic investigation into one's own cosmic origins and the subsequent 'revelation of source'. Alchemy is alive and well in all its forms and expressions. One day soon we will all realise this and it will be a great unifying revelation for the planet. It will lead to a new intensity of combined effort towards the betterment of humanity, and I hope I live to see that in my lifetime. In the final analysis, if you are serious about Personal Spiritual Alchemy.... find someone a few steps ahead of you on that path and take instruction!